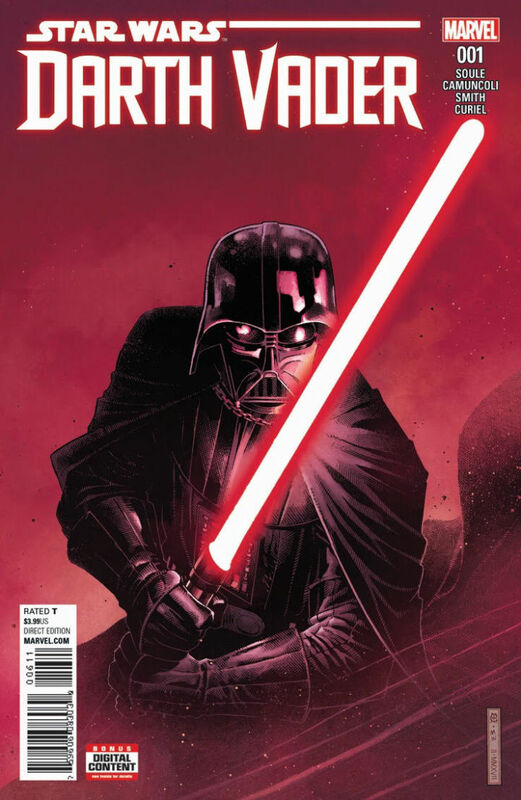 Marvel has announced a new ongoing Star Wars series about the legendary Sith lord Darth Vader. The new series will be written by Charles Soule, who has written several Star Wars series for Marvel (including Poe Dameron, Lando, Obi-Wan & Anakin), with art by Giuseppe Camuncoli. The series will pick up the second Revenge of the Sith ends, with Vader and Palpatine on the bridge of a star destroyer looking at the still in construction Death Star (little do they know it will still take almost twenty years for that thing to be finished). The first arc of the series will deal with Vader constructing his red lightsaber. The first issue of the new Star Wars: Darth Vader will hit shelves in June.